Maharishi School's Boarding School Option gives American and international students the opportunity to live and learn in a nurturing, stress-free environment. With over thirty countries represented at this school, our students cultivate lasting relationships, and develop a respect and appreciation for all cultures. Students board at Maharishi School in two different settings: some live with host families and others in dormitories with dorm parents. 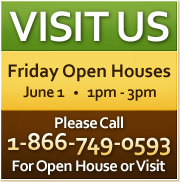 Boarding school is available to students ages 15 and up. 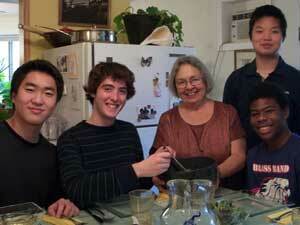 Pictured: International students Brendan (Korea), Laser (Canada), Runzhao (China), and Rashaan (New York) with dorm parent, Angela Mailander. 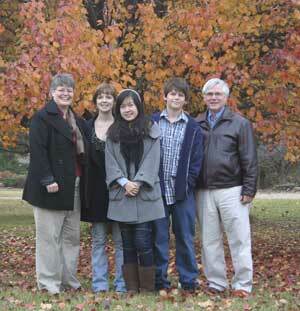 - Haiyin, boarding school student from China, pictured here with her host family.